The beautiful Fall season is upon us! 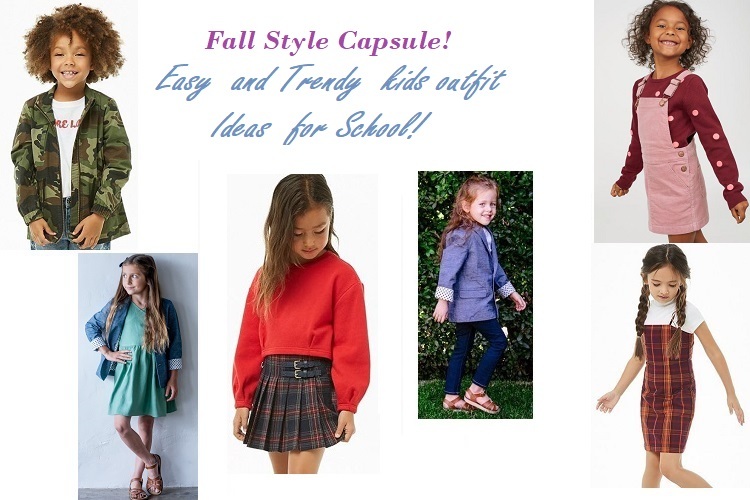 It’s that time of the year when kids are back to school, and we know that putting together a stylish and comfy on-trend outfit for your kids is no easy task! You don’t want to clutter your kiddo’s closet with too many outfits…you know they outgrow them! But, a few good pieces can be mixed and matched to make a chic trendy easy outfit to breeze through the day! 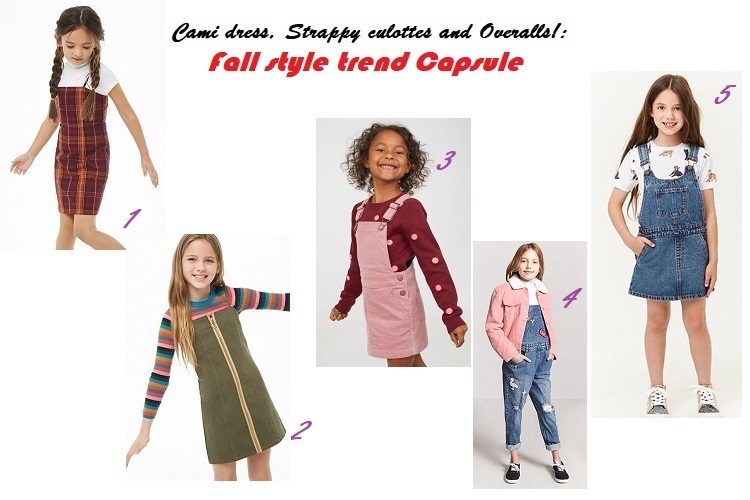 So, here is a curated list of trendy and effortless pieces to add to your kiddos’ Fall/ Winter Wardrobe! 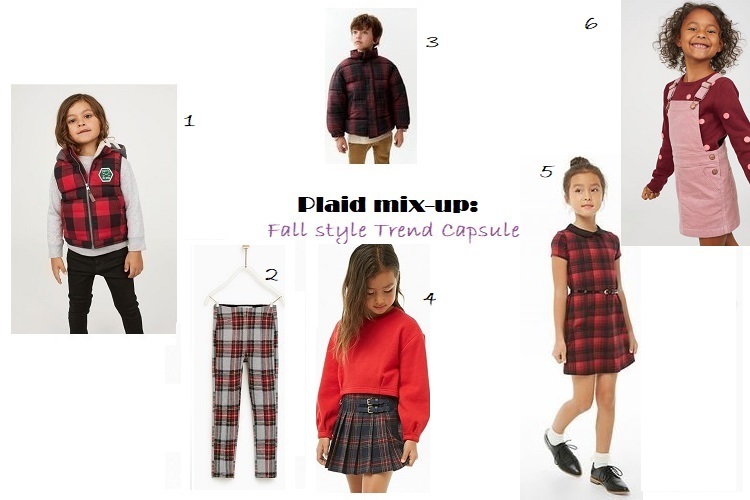 Here are a few fun pieces to add a hint of plaid to your kid’s wardrobe! The plaid vest is pretty versatile and easily paired with a good pair of jeans, culottes or skirts. Plaid pleated skirt and leggings always look chic and can easily be matched with a sweater, a sweatshirt, a cardigan, or a smart vest! Loving the Blazer trend this season? Adding a smart and tailored blazer is a trendy way to keep your young Fashionistas warm! 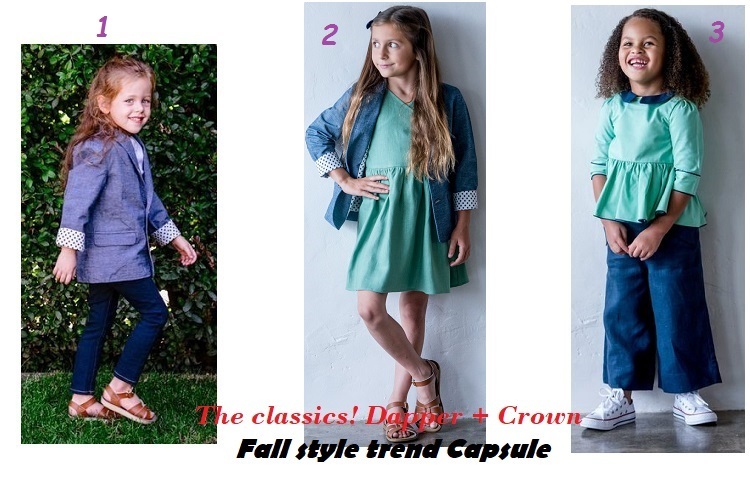 Talking about tailored blazers, we are so in love with this Fall collection from the Mama run label, Dapper+Crown clothing. This Chic and trendy collection is locally manufactured in the USA! CAMI DRESS, STRAPPY CULOTTES AND OVERALLS! Its the season of the Overalls and Cami strap dresses! It’s such a versatile piece in the closet! Fun and totally cool on-trend when you pair it with a Jacket or a Cardigan or a bright sweater inside! 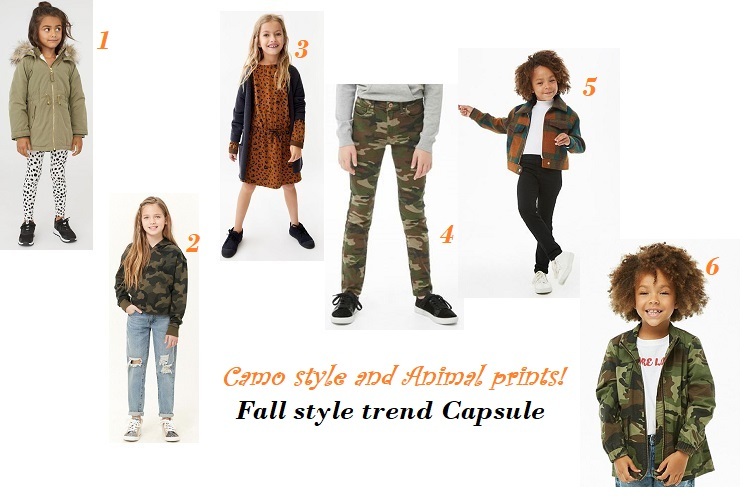 CAMO STYLE & ANIMAL PRINTS! Yes, Camouflage is cool again! Winter jackets to sweatshirts and tees, you can mix it up with a favourite pair of leggings or Jeans for a cool casual look! A pair of animal print leggings or a comfy animal print dress is all you need to be on-trend! Now, we all know there is something about polka dots that screams cute! So yes, every little girl should have a touch of polka in their wardrobe right?! It is such a versatile print! 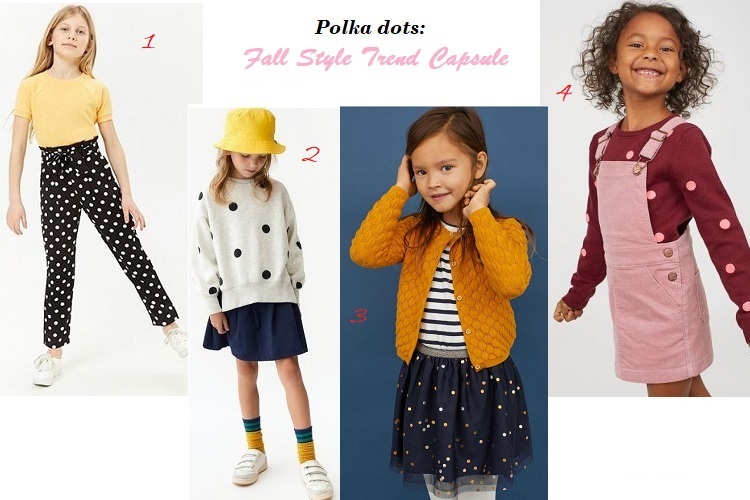 Here are a few ways to wear polka dots! The Metallic colour trend is everywhere now! Its edgy, chic and so in-vogue! Get a few for your kid’s wardrobe too! A trendy puffer Jacket or metallic leggings can be so versatile and comfy, and mixed and matched with sweaters and cardigans and funky tees to shine through Fall & Winter! Happy shopping and stay fab & stylish!